20 classic songs on CD and Double-LP! By the end of 1973, New York City was bankrupt, Watergate had compromised the credibility of the U.S. government, and the Carpenters were the best-selling young recording act in America. Rock ’n’ roll was dead! Enter Hilly Kristal, who dreamed of running a country & blues bar in the Bowery. Instead, the club he opened, CBGB (Country, Bluegrass, Blues) became the birthplace of punk and underground music. CBGB was the modern-day salon for the disenfranchised youth of New York City and Kristal gave these young local bands a stage. Artists such as the Talking Heads, Blondie, Patti Smith, Ramones, Dead Boys and Television all started at this iconic club. The story of Hilly Kristal and his legendary club will be coming to theaters this October when CBGB hits the big screen. The film has an all-star ensemble cast headed by Alan Rickman (the Harry Potter series, Die Hard) who plays Kristal. Co-starring with Rickman will be Malin Akerman (The Proposal, Suburgatory), Ryan Hurst (Sons Of Anarchy), Ashley Greene (the Twilight series), Johnny Galecki (The Big Bang Theory), Stana Katic (Castle) and Rupert Grint (the Harry Potter series). 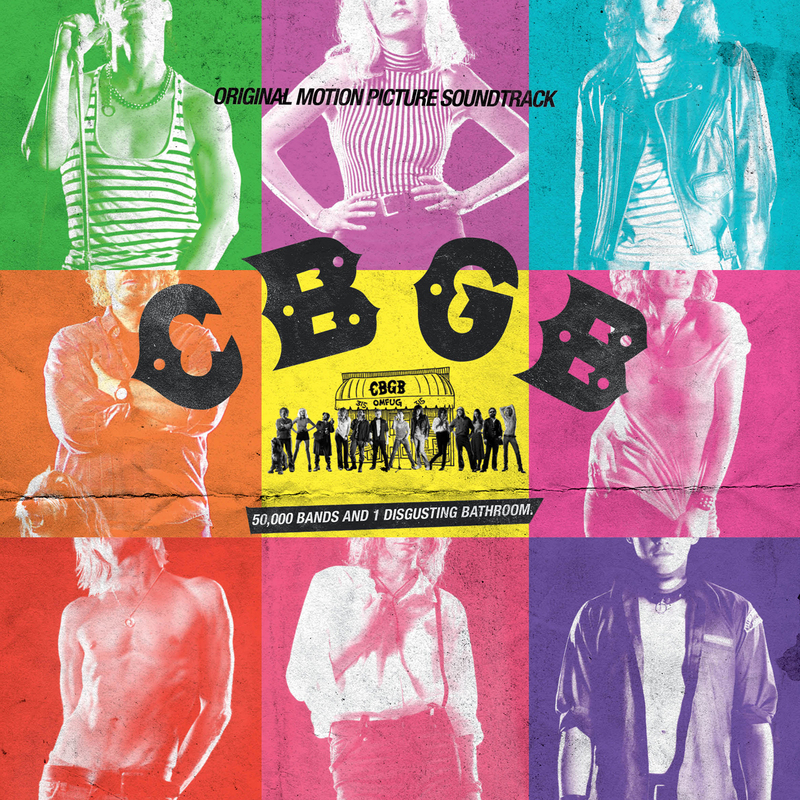 Omnivore Recordings is proud to present CBGB: Original Motion Picture Soundtrack on CD and naturally, double-LP. An essential collection of songs that made the punk movement, CBGB presents twenty slices of original American music, many rarely compiled or unavailable for years. The soundtrack contains music from influential artists that informed the scene (The Velvet Underground, The Stooges and MC5), to acts that broke through with huge commercial acclaim (Talking Heads, Blondie and The Police). And there’s even music from bands whose legendary status will forever be linked to the club that gave them a voice (Dead Boys, Television. Wayne County, The Dictators, and more).